We love our job of helping people from all over the world find wonderful homes and rentals in Portugal. 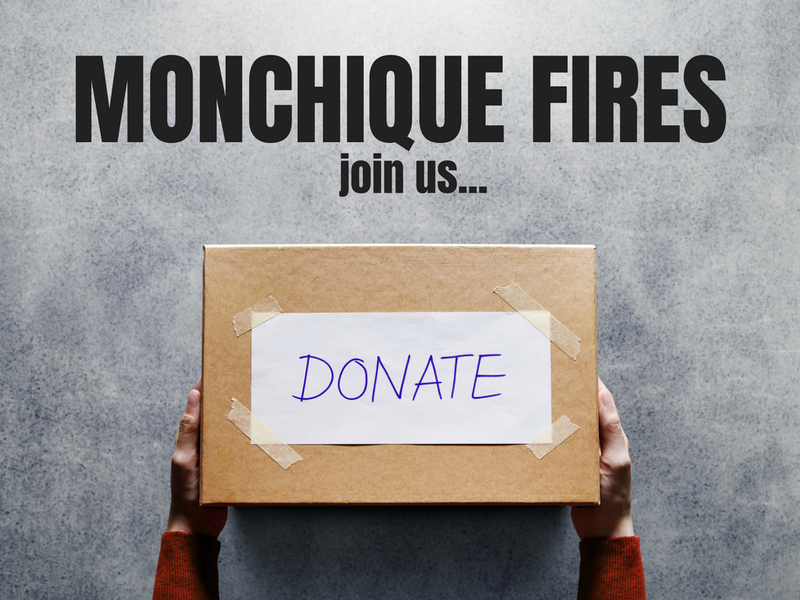 So it saddens us greatly that Monchique, Algarve, (a lush wooded region known for its water and healing properties), is suffering through an agressive forest fire putting its locals at risk of losing their homes. Clothing: Adult clothing all types, sizes, and also footwear. They have plenty for children currently. Food: Non perishable and able to handle heat/non-melting. eg. sandwich breads, canned fish, cured meats, individual juices, cookies, energy and cereal bars (non-chocolate). Masks: to prevent smoke inhalation. We are opening our doors to you as a central drop off location here in the Algarve, and our staff who are registered fire fighting volunteers are happy to forward these to the appropriate charities and fire departments on your behalf. If you want to get more actively involved you can donate directly to the Portimāo Fire Department, or also sign up as a volunteer fire fighter. Your help to support those who've been injured, displaced or affected will be greatly appreciated.